Music therapy often works well for people with a range of mental health issues, including those with high and complex mental health needs. People who might benefit include those struggling with mood, those finding it difficult to cope day to day, people who have problems in relating with others and/or those who are surviving the effects of trauma. Often Soundwell’s clients live with depression, anxiety, schizophrenia, psychosis, mood disorders or personality disorders. Music therapy fits well with the Recovery Model approach in focusing on resources and strengths through creativity. 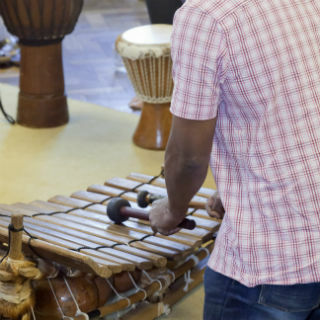 Click here for a summary of Music Therapy and Mental Health Research. Soundwell’s therapists are experienced in mental health work and are registered with the Health Care Professions Council.